It’s Porridge Week- Have many ways can I use thee?? We have porridge every morning during the school year. It’s quick, easy and does the job of keeping tummies full and minds alert for the morning’s work ahead. We all have it different ways; mine with fruits and a scant spoon of sugar, others with milk and weetabix on top. 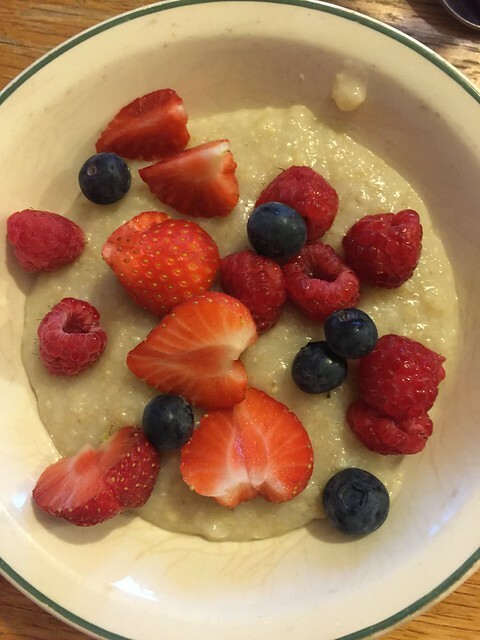 Porridge is a staple in Ireland for many people now due to reports of it’s health properties. The other positive side is that it comes at a very reasonable cost. We like the Organic Flahavans Porridge. There are two reasons for this. Firstly as we eat organically as much as is possible. And secondly it is grown locally. These oat fields have no pesticides or other chemicals sprayed on them. Thereby making the immediate environment also a better place to be and live with your community. This week, it being porridge week, I decided to experiment a little. And have porridge or some form of it with every meal. Breakfast was the easiest of course. And the bread was not too much of a stretch either. 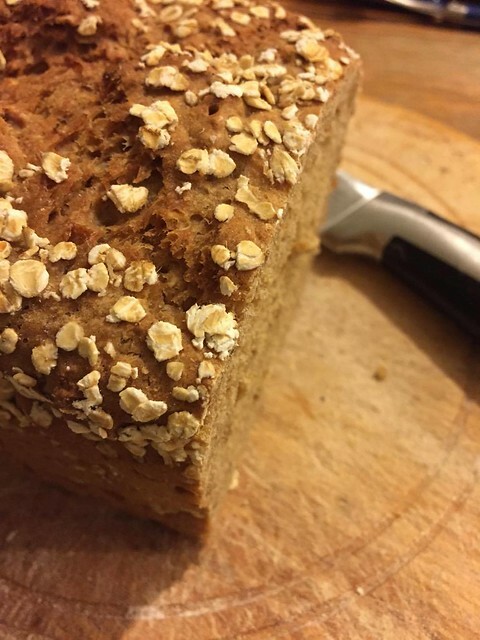 I make this bread at least twice a week, and the family love it best when I reduce the amount of wholemeal flour and add some white and, more importantly, porridge flakes. Dinner was more of a challenge. It would have been easy to simply use the oat flakes scattered on top of a cottage pie, or instead of barley in an Irish Stew. 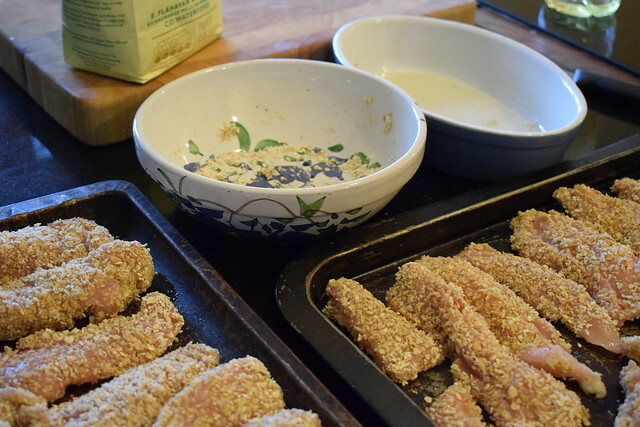 I decided to go with a family favourite- homemade chicken goujons and give them a twist. I whizzed up the porridge to make the crumb coating. And, if I’m honest if was far superior in taste to the usual crumb coating consisting of ritz crackers. Then there was the final sweet touch. I had only recently blogged about my most favourite apple crumble. So an alternative was found. 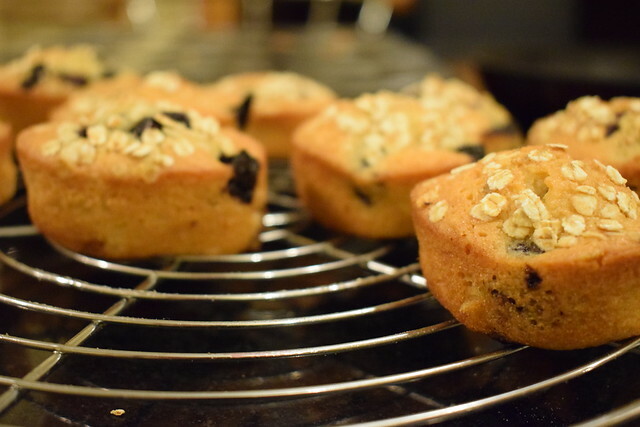 I added them to my blueberry financiers. To much acclaim I might add. So these will also be staying on the menu so to speak. But even though they contain both porridge and blueberries, it would be a stretch to have them as breakfast. All recipes will be blogged in the coming weeks, so keep tuned this way, but if you just can’t wait, contact me here. Fenn's Quay and then some..